Makers E.R. 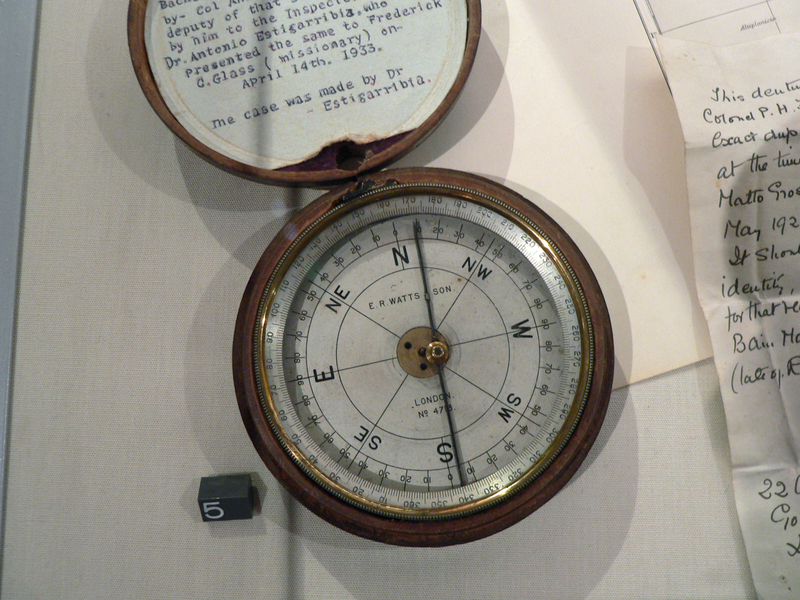 Watts & Son supplied this compass as part of a theodolite instrument to Fawcett on 13th February 1913. Discovered by Col. Botelho in 1933 near the camp of the Bacairy natives of Mato Grosso. Whether it was deliberately placed in Botelho's path or was lost on a previous 1920 expedition is unknown. A theodolite is used as a precision instrument for measuring horizontal and vertical angles.